Even if only for 30 min at a time, three days a week, a good workout will increase happiness inducing endorphins while burning the stress hormone cortisol which is associated with depression. If you do not feel motivated, or dislike exercising at first, keep going for long enough and you will definitely begin to see benefits within 3 – 6 weeks. Talk to someone you trust, a close friend or a licensed counselor and try and come up with a plan of action. Often it is the first steps to recovery that are the most difficult, so try not to do it alone. A poor diet depletes energy levels and a deficiency in certain nutrients (e.g. iron) can result in fatigue and feelings of depression. Ensure that you are getting all the vitamins and minerals that your body needs, and explore serotonin uplifting foods such as oats, turkey, milk, pasta and other carbohydrate-rich foods. Set realistic goals and responsibilities. It is important to have a plan of action and to start taking responsibility for the future, but know your limits and set your goals within reason. Small steps taken consistently are better than big steps which cause you to bomb out. Prioritize and learn to say no. Avoid unnecessary stress by doing what needs to be done first and learn to look after your own needs. Be careful not to allow others to overload you with their responsibilities. Make a conscious effort to stop negative thoughts. Try and change these thoughts into neutral thoughts and do not indulge in pessimism. Remember that this will take time, and may be difficult at first, but it can also be life-changing. Psychotherapy can be very helpful in this regard. While your symptoms of depression may make you feel like crawling into bed or existing in your pajamas and slippers all day, make a decision everyday to get up, get dressed and do something. Simply cleaning your room, going for a scenic drive or doing something creative can be uplifting and help break a bad cycle. One of the best ways to re-energize and uplift your spirit is to get in touch with nature. Go for a walk in the forest, a picnic in the park or a simply sit on the beach and watch a sunset. Don’t turn down a helping hand or a comforting hug. When depression hits, you may feel like pushing people away, but this is the time you need love and affection the most. Pets are also a great source of love and comfort! One often feels a loss of purpose when depressed, so regain a positive purpose by helping others. Volunteer at a soup kitchen or help out at an organization that could benefit from your time and skills. Change is often very invigorating and refreshing. Aim to change your life-style to a healthier one, change your negative attitude towards life, and change your job if you know that your current work makes you miserable. It need not even be a drastic change. Simply re-arranging furniture or giving a touch of paint to a dull room can go a long way to uplifting your mood – better yet, it will keep you busy. There are many books which are very helpful in learning how to manage depression. These include books written by experts in the field – as well as books published by ordinary people with a useful or uplifting contribution to share. 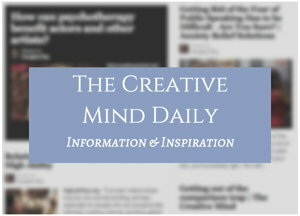 More Native Remedies articles – plus many other depression information and management articles. 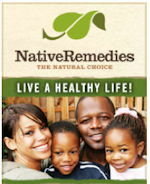 free ebook by Native Remedies – also has information on relieving depression.